Sanford, Florida, Ferguson, Missouri, Baltimore, Maryland and now, after many others, Palm Beach Gardens, Florida. 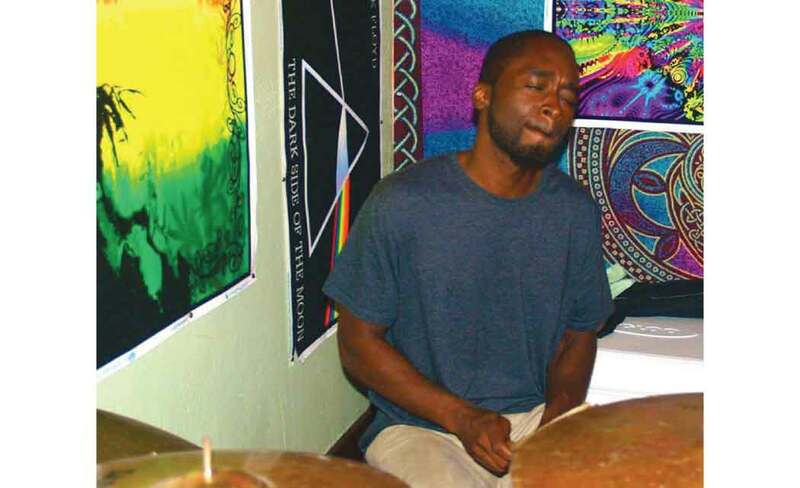 The police killings of black men continued Sunday morning with the death of church-going drummer and housing authority inspector, Corey Jones, a 31-year old God-fearing black man. Corey’s car had broken-down on I-95 coming from a drumming gig and he was waiting on a tow truck. Somehow, he wound up dead – shot and killed by Palm Beach Gardens police officer, Nouman Raja, whom police say fired his weapon and killed Jones after he startled Raja with a handgun. After days of silence, the Palm Beach Gardens Police Department finally spoke out Tuesday about the 3:15am Sunday morning incident, but still provided few details about how and why Jones wound up dead. The only new information revealed by Chief Stephen Stepp, is that Jones indeed had a handgun and had purchased it legally three days prior to the incident. Unconfirmed published reports say Raja fired at Jones five times. Police released a photo of the handgun in the grass. There were no dashboard or body cameras. Meanwhile, Jones, who comes from a family of ministers, has left family members searching for answers. They’ve hired prominent, high profile attorney Benjamin Crump to seek justice. Crump was also the attorney for Michael Brown in Ferguson, Missouri and teenager Trayvon Martin, both of whom were gunned down by a white officer or neighborhood watchman. “I can’t understand it,” said Jones’ grandfather, Bishop Sylvester Banks Sr., outside of Bible Church of God in Boynton Beach, where Jones was the church drummer. He was set to play there just a few hours after he was gunned down. “Imagine if this was your grandchild…been shot to death by the people who are supposed to protect you,” said Banks, fighting back tears on Tuesday. “We need your help – even if it comes from the President of the United States,” he said. Banks couldn’t confirm whether the Reverend Al Sharpton would be in attendance at a peaceful rally on Thursday on the steps of the Palm Beach Gardens police department. But he had some words for his grandson’s killer. “I will plead for him to tell the truth. The truth will make you free. Whether he’s done right, or wicked, he’s going to be held accountable. If it’s a cover-up, it’ll come to light,” he said emphatically. Stepp said Raja was working undercover the night of the incident and was wearing plain clothes and was in an unmarked car. He approached Jones’ vehicle because he thought it was an abandoned car, police say. They say Jones confronted Raja with a gun. Somehow, Jones ended up dead. Police would give no further information, stating that the Palm Beach Sheriff’s Office is handling the investigation. Stepp said Raja had been with the Palm Beach Gardens police department for six months and had no blemishes on his record. Prior to that, he was an officer with the City of Atlantis.